Update April 12 2017: Beverly Cleary is now 101 years old! 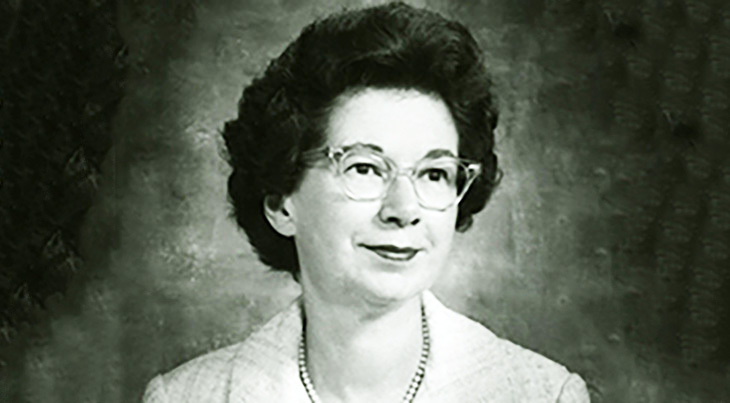 The United States Library of Congress has named children's author Beverly Cleary a "Living Legend"; her 35+ books for teenagers and children have sold 91 million copies in 20 countries and 14 languages. Beverly Bunn was born (April 12 1916) & raised in Oregan; her family moved to Portland when she was 6. Beverly's inspiration to write children's fiction started early; not only was she a voracious reader, after turning in an essay in the 6th grade her teacher told her she should write children's books when she grew up. She met future husband Clarence Cleary while attending Berkeley University to gain a library science degree in the 1930's. After eloping in 1940 because her Presbyterian parents didn't approve of Cleary's Catholic upbringing, they moved to Oakland, California and remained married for 64 years until his death in 2004. Clarence and Beverly Cleary's twins (Malcolm and Marianne) were born in 1955, with son Malcom inspiring the character of Keith in The Mouse and the Motorcycle (1965). While working as a librarian in Yakima, Washington (1939-1940), when a little boy asked her "Where are the books about kids like us? ", Beverly Cleary realized that there weren't any. Her first published children's book Henry Huggins (1951) was about a boy, his dog & friends, all living on Klickitat Street in Portland; this street was not far from where Beverly had grown up. 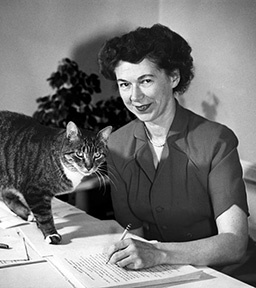 Approximately a third of Beverly Cleary's childrens books were written and published after she became an official senior citizen back in 1981. Recognition continues to come in her senior years - Ramona and Her Mother (1981) won the National Book Award; Ramona Quimby, Age 8 (1982) won Newbery Honors, and Dear Mr. Henshaw (1984) won the Newbery Medal. Her books have been read on network television, and the Ramona books have inspired a TV series and movie. A Portland public school and a University of Berkeley residence are named for Beverly Cleary, and her publisher Harper Collins celebrates her birthday as "National Drop Everything and Read Day". In her "old age" Beverly Cleary has also written two autobiographies, A Girl from Yamhill (1988) and My Own Two Feet (1995); and her last book, Ramona's World, was published in 1999 (age 83). Beverly Cleary has lived in Carmel Valley, California since before her husband Clarence passed away; she still lives there, in an assisted living/retirement community. How does someone who is 100 years old fill their day? If you're Beverly Cleary, you don't lie in bed all day. In an interview for the National Post/Washington Post, she recounted her northern California retirement home lifestyle - up at 7:30m, reading the newspaper and books, watching CNN and doing crossword puzzles. She quipped that although she enjoys writing letters, that "When you get to be 99, there aren’t many people to write letters to.” And, "People tell me I don't look a day over 80." Happy 101st Birthday (April 12, 2017), Beverly Cleary! Someone Like You - Van Morrison or Adele?